Essex Printing serves as the main branding device and promotion activity for any kind of business in UK. Our products include various kinds of graphics and sign boards which range from illuminated, 3D letters to non-illuminated ones. We are one of the best Sign Company Brentwood catering to retail outlets, supermarkets and any other place offering retail. Attract customers: Shop signs play an important role in attracting customers especially in retail outlets and super markets where business mainly depends on number of footfalls. We design the shop signs according to client’s requirements. Eye catching: The shop signs printed by Sign Company Brentwood are so eye catching and appealing that customers always stop and look twice. The shop signs have an impact on the passersby. Exhibits services: The shop signage also exhibits the nature of services offered by the store. The brand image of the shop depends largely on the exterior of the shop. It is the beauty of the shop signs that attracts the customers luring them to enter the shop. Inner beauty: When a customer enters a shop, the inner beauty of the place has to be well maintained which is taken care of by interior signs. At Essex Printing, the interior signs are crafted as per specifications of the client. Our team plans the inner board, and we seek approval from the client before installing the final product. 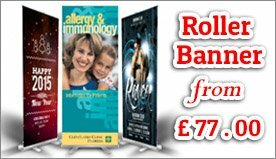 Promote deals: A promotional board is an interior sign which is often used to promote the deals that are available. It is one of the most appealing ways to achieve target. The boards range from simple posters to lighted ones like LED effects. We are equipped to cater to every demand of the client and the choice lies with them. The exterior signs lure the customers while the interior ones should also satisfy them. 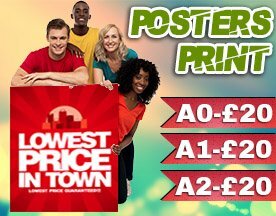 Why should you hire Essex Printing? We are a one stop solution for myriad printing needs and our high-end products will help you to enjoy success.